Members of The Church of Jesus Christ of Latter-day Saints (LDS Church), who are sometimes referred to as Mormons, believe that marriage between one man and one woman is God’s standard for marriage, except at specific times when God has declared a different standard (see ”Plural Marriage and Families in Early Utah,” lds.org/topics/plural-marriage-and-families-in-early-utah). Latter-day Saints believe that during the mid-1800s, some Church leaders and members were commanded by God to enter into the practice of plural marriage, also known as polygamy, or the marriage of one man to more than one woman (see “Plural Marriage in Kirtland and Nauvoo,” lds.org/topics/plural-marriage-in-kirtland-and-nauvoo). 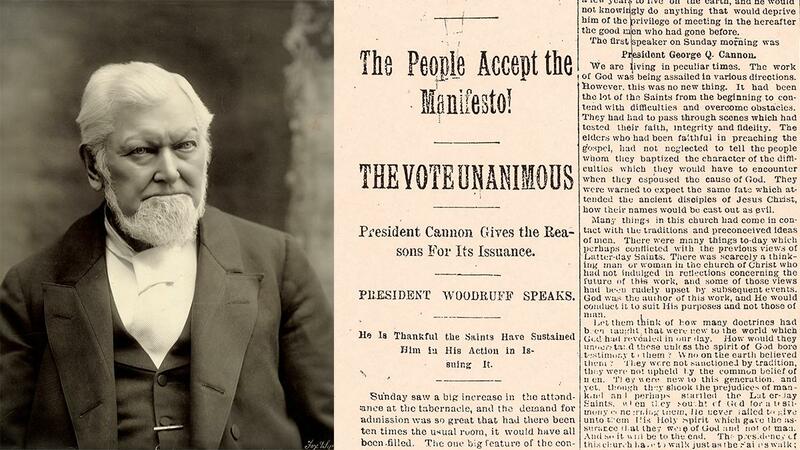 In 1890, Church President Wilford Woodruff was inspired by God to issue a declaration that led to the end of the practice of polygamy by Church members (see Official Declaration 1; see also Jed Woodworth, “The Messenger and the Manifesto,” Revelations in Context series, June 23, 2015, history.lds.org). 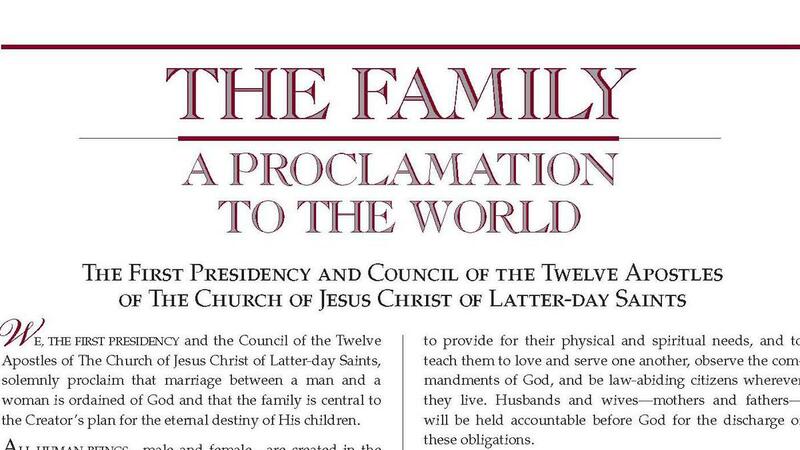 Today the Church strictly prohibits polygamy (see “Polygamy,” mormonnewsroom.org). Why did early Mormons practice polygamy? 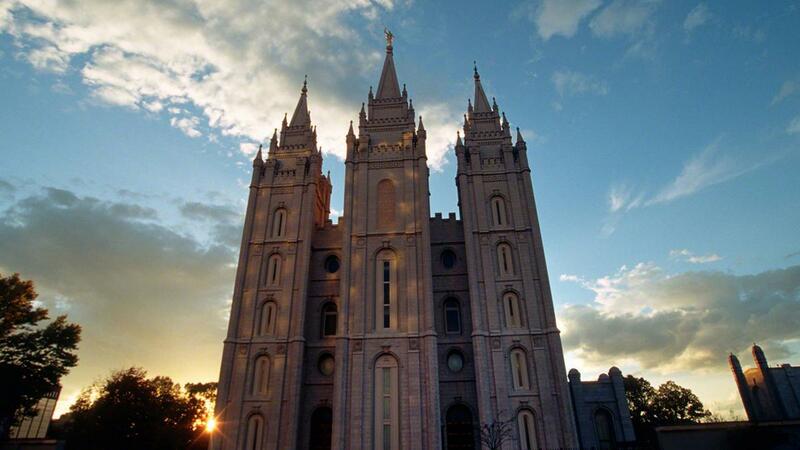 Mormons believe that God commanded early Latter-day Saints to practice polygamy for a time. While Latter-day Saints today do not know all the reasons for God’s command, they do understand some reasons why God would command the practice of polygamy. For example, the Book of Mormon teaches that men should have only one wife (see Jacob 2:27–29), unless the Lord commands His people to “raise up seed unto [Him]” (Jacob 2:30). The practice of plural marriage by early Latter-day Saints did lead to an increase in the number of children born to Church members. 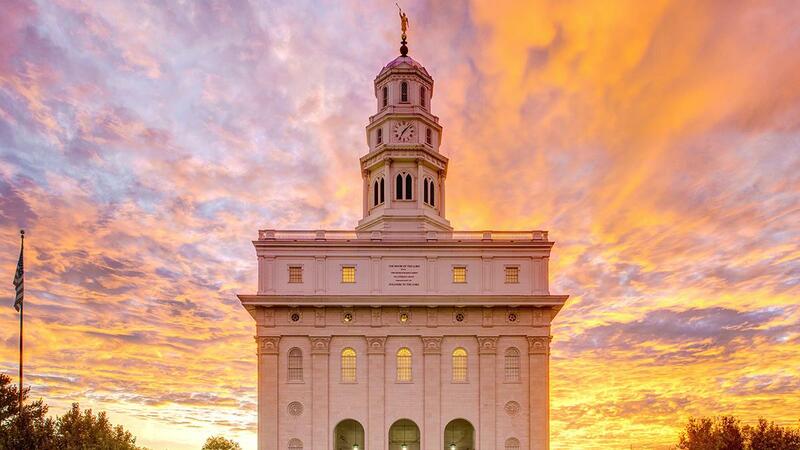 Early Latter-day Saints also believed that the establishment of The Church of Jesus Christ of Latter-day Saints included a restoration of ancient principles and practices, as taught in the Bible. It is clear from the Bible that multiple prominent Biblical figures—including Abraham, Isaac, Jacob, Moses, and David—practiced polygamy (see “Plural Marriage in Kirtland and Nauvoo,” lds.org/topics/plural-marriage-in-kirtland-and-nauvoo). What was the practice of polygamy like for early Mormons? The practice of polygamy was difficult for many early Mormons. It brought on fierce persecution from outsiders and, especially when it was first introduced, went against the sensibilities of many Church members (see “Plural Marriage in Kirtland and Nauvoo,” lds.org/topics/plural-marriage-in-kirtland-and-nauvoo). It also sometimes created challenging family dynamics and placed financial strain on polygamous Mormon families who were trying to eke out a living on the rough terrain of the American West (see ”Plural Marriage and Families in Early Utah,” lds.org/topics/plural-marriage-and-families-in-early-utah). There were those who remained faithful members of the Church but chose not to practice plural marriage. There were also members who rejected the idea of polygamy and decided to leave the Church (see “Plural Marriage in Kirtland and Nauvoo,” lds.org/topics/plural-marriage-in-kirtland-and-nauvoo). Divorce was readily accessible to Mormons who were unhappy in polygamous marriages (see “Polygamy Then and Now,” mormonnewsroom.org). Nevertheless, early Mormons who practiced polygamy believed that they were following a commandment from God and believed they would be blessed for their obedience. Additionally, many polygamous families were happy, warm, and loving (see ”Plural Marriage and Families in Early Utah,” lds.org/topics/plural-marriage-and-families-in-early-utah). 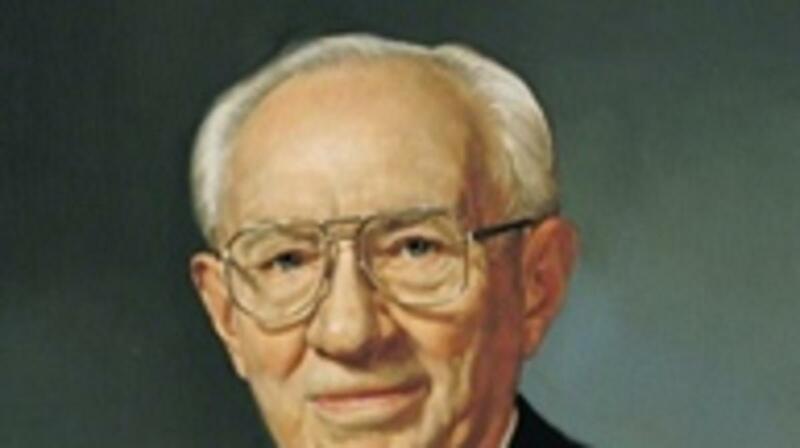 Do Mormons believe in polygamy today? 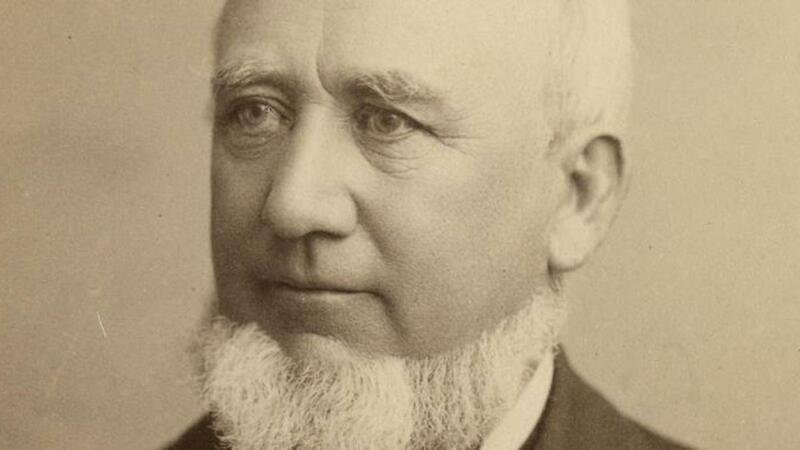 “I wish to state categorically that this Church has nothing whatever to do with those practicing polygamy. . . .
“If any of our members are found to be practicing plural marriage, they are excommunicated, the most serious penalty the Church can impose. Not only are those so involved in direct violation of the civil law, they are in violation of the law of this Church. An article of our faith is binding upon us. It states, ‘We believe in being subject to kings, presidents, rulers, and magistrates, in obeying, honoring, and sustaining the law’ (Articles of Faith 1:12). One cannot obey the law and disobey the law at the same time. . . .
“More than a century ago God clearly revealed unto His prophet Wilford Woodruff that the practice of plural marriage should be discontinued, which means that it is now against the law of God. Even in countries where civil or religious law allows polygamy, the Church teaches that marriage must be monogamous and does not accept into its membership those practicing plural marriage” (“What Are People Asking about Us?” Ensign, Nov. 1998, 71–72). What do Mormons believe about marriage and family? Mormons believe that marriage between one man and one woman is an important part of God’s plan for His children. To learn more about what Mormons believe about marriage and family, visit mormon.org. The Saints had practiced plural marriage for half a century. Women and men had anguished over the decision to enter a principle that was alien to their religious upbringings and inclinations.